Whether you’re a singer-songwriter and record songs in your home studio or perform live on stage, our range of pickups will ensure the perfect reproduction of the tonal qualities of your Furch guitar under any circumstances. 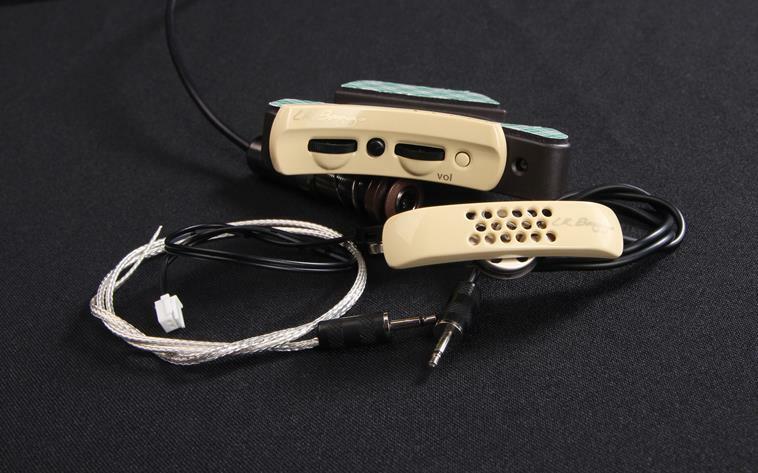 The LR Baggs Element Active System (EAS-VTC) is an undersaddle pickup with convenient controls. The LR Baggs EAS-VTC features an all-discrete preamp fitted inside the guitar and a volume control mounted in the soundhole for easy access. The system faithfully reproduces the instrument’s acoustic voice with an unrivaled dynamic range. The LR Baggs EAS-VTC can be purchased with every new Furch guitar for a suggested retail price of $ 309. 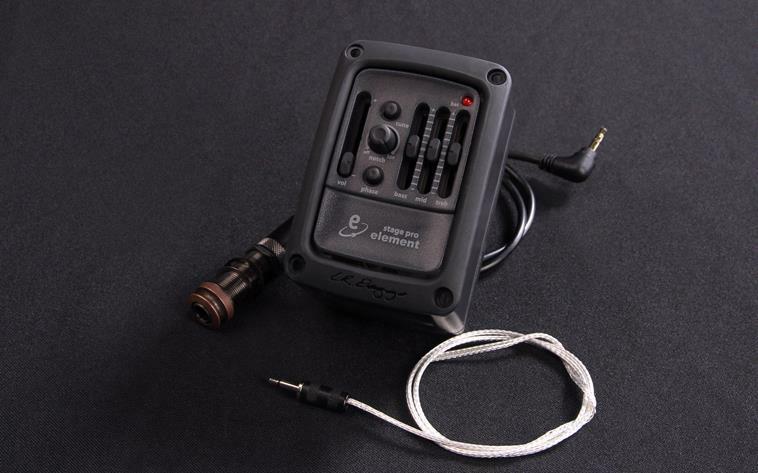 The LR Baggs Stagepro Element is an upgraded version of the LR Baggs Element Active System – Volume Tone Control. The additional features of the Stagepro Element include a side-mounted preamp with a three-band equalizer and phase inversion as well as a sensitive onboard tuner. With a clean classy look, the Stagepro Element pickup system provides easy battery access and includes Garrett Null notch filter that delivers a warm pristine sound even under the most challenging conditions. The LR Baggs Stagepro Element can be purchased with every new Furch guitar for a suggested retail price of $ 309. At the heart of the LR Baggs Anthem is a revolutionary microphone engineered to faithfully capture the sound of any live performance with the same dynamic parameters as a studio microphone. The TRU•MIC mounts to the underside of the bridge plate and hovers only three millimeters above its surface. This patented mounting system, combined with noise cancellation, allows the microphone to perform as efficiently as an external microphone would in a studio, and maintain a remarkable ability to suppress feedback on stage. The result is a balanced frequency response with excellent clarity for the purest amplified sound. 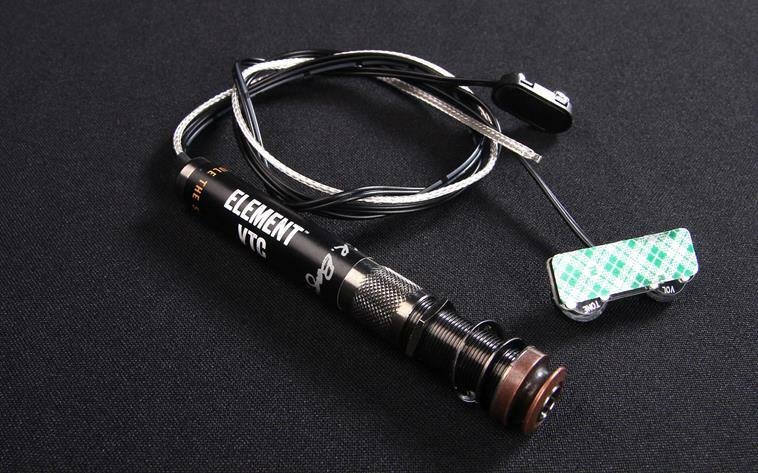 The Element pickup is paired with the TRU•MIC to provide solidity and punch for low frequencies. 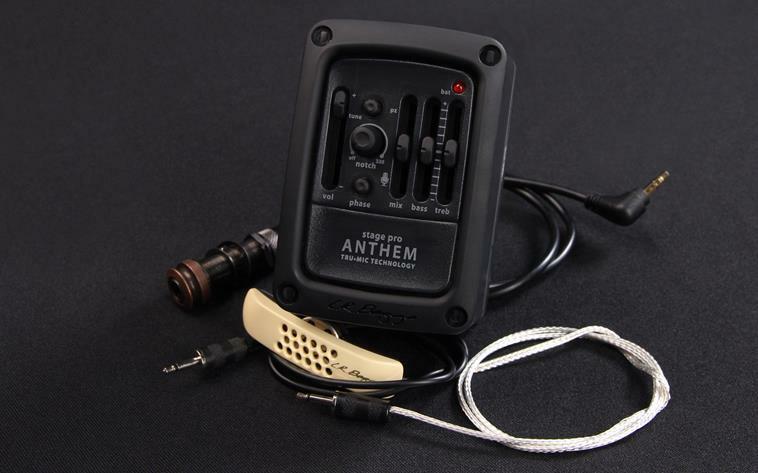 Installing the Anthem is a non-invasive process, which means that no cutting or drilling into the guitar body is necessary. The control panel is attached with adhesive in the soundhole. Apart from volume and microphone trim controls, there are LED lights indicating the remaining battery life. The LR Baggs Anthem can be purchased with every new Furch guitar for a suggested retail price of $ 589. The LR Baggs Stagepro Anthem offers the same sound reproduction features as the Anthem, but the control panel is mounted in the side of the guitar to provide easy access to the battery and built-in three-band equalizer. The mix control allows blending the sound from the microphone and the undersaddle pickup. Additional tone shaping features include bass and treble controls, phase inversion, a notch filter, and highly efficient feedback suppression. The LR Baggs Stagepro Anthem can be purchased with every new Furch guitar for a suggested retail price of $ 589.